The sign of the velocities needs to be corrected for Latitude 2 when the ECIv exceeds the Rotv. g's at the different latitudes. 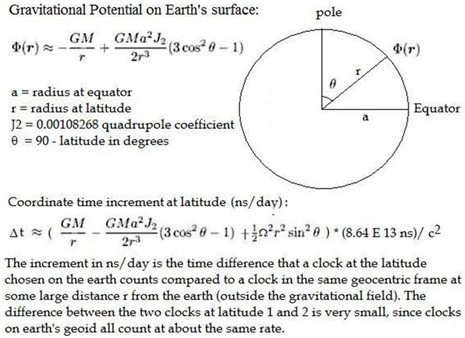 This makes earth at sea level an equipotential surface.